ASUS Eee PC 1201N: Dual-Core Atom + ION FTW? When ASUS launched a little device called the Eee PC a couple years back, it was greeted with mixed feelings. Some people loved the original Eee PC, and others thought it was more of a gimmick. It was light and it could do basic computing, but so many items were lacking that like most things, you got what you paid for. If you were looking for something small and inexpensive, great, but for me it was too small - 7" was more like a large PDA than a small laptop. I couldn't type comfortably, the 800x480 LCD was cramped even for basic Linux applications, and the 630MHz (underclocked 900MHz) Celeron processor was anything but fast. The default 512MB of RAM was also very limiting, even under Linux, and 2GB or 4GB of (slow) flash memory was inadequate for storage of anything beyond text documents. The goal of course wasn't to be fast, but rather "fast enough", and in that respect the $300 Eee PC was a success. As a second or third computer, the tiny form factor made sense, but it was still slow. Over the past two years, we've seen the netbook undergo quite a few revisions. First we started getting 8", 9.1" and 10.1" chassis, along with larger LCDs. The resolution improved to 1024x600, which was still pretty cramped, but a few have offered 1366x768 resolution displays. Now we've started to see 11.6" and 12.1" netbooks with 1366x768 LCDs standard, and these models still hover close to the original netbook price point, though it stretches from $300 to $500+ now. With the larger chassis and the passage of time, we've also been the beneficiaries of quite a few performance upgrades. 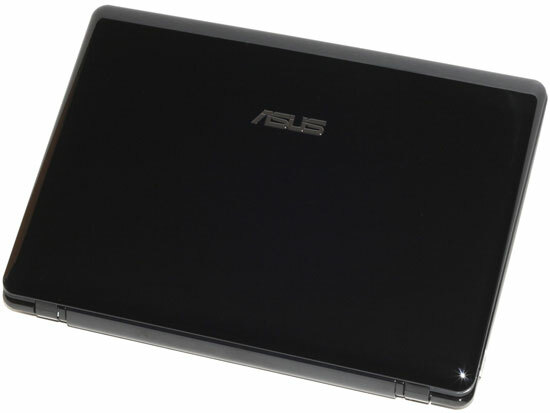 Enter the latest netbook offering from ASUS: the Eee PC 1201N. With a 12.1" LCD running at 1366x768, for me the problem of being too small is addressed. I can comfortably type on such a laptop, though I still prefer full-size ergonomic ("natural") keyboards. The resolution is enough that common tasks fit within the available area. As for the performance, we have moved from a single-core 900MHz Celeron CPU to the first (only) dual-core Atom netbook. With SMT, the Atom 330 is able to work on up to four threads simultaneously, and while we still wouldn't call it "fast" it's certainly faster. The CPU also gets some help in the memory department, with 2GB of DDR2 memory in a dual-channel configuration. Perhaps the biggest boost in performance from the latest Eee PC is courtesy of NVIDIA's ION platform. ION is essentially GeForce 9400M (nForce 730i) for Atom, and it easily trounces the integrated graphics Intel provides in the old GMA 950 in the 945GSE - or the GMA 3150 in the new Pine Trail platform. In fact, ION is more than twice as fast as Intel's 4500MHD, and driver support is much better. You get full DX10 compliance along with CUDA, Direct Compute, and all the other GPGPU features. Granted, with only 16 SPs ION isn't the graphical powerhouse that the GT200 (or Fermi) is, but for accelerated applications it can easily outperform an Atom CPU. In theory, ION will also allow you to play games, though we need to temper your expectations in this regard; the 9400M has the ability to handle just about any current game (at 800x600 and minimum detail settings in demanding titles), but even dual-core Atom struggles to provide enough performance to keep ION fed. We'll get to the gaming benchmarks in a moment. We can easily see that the latest Eee PC 1201N packs a lot more into its small package than previous designs. That's the good news. The bad news for ASUS (and ION in general) is that the sub-$500 netbook space is a lot more competitive than it was two years ago. There are a lot of Atom netbooks out there, and they provide "fast enough" performance for many people along with very good battery life. The 1201N is faster than any other Atom netbook currently available, but the real competition isn't Atom… it's CULV, Intel's Core 2 Ultra Low Voltage processors. The least expensive models start at around $400 (if you can find SU2300 laptops), which is actually less than the base model 1201N. They pack a beefier CPU while still providing great battery life, but they're saddled with Intel's GMA 4500MHD graphics. If you just want to run Windows, that might be fine, but video decoding and in particular gaming are too much for the 4500MHD. Let's take a closer look at the new 1201N, and we'll follow that with some benchmarks to show where dual-core Atom plus ION excels, and where you still might want something faster. I personally feel the 1201N is a great evolution for the netbook, but probably represents the limit. To go any further in size any number of other features would drive the cost to where it is no longer a netbook, it's a laptop. There are some drawbacks, yes, and there are laptops that can be had for nearly the same money the perform better, but this is a fantastic feature set in the ultra-portable class. I'm personally phasing myself out of PC gaming and desktop computing as a whole, and I will probably invest in a full-on laptop at some point, but for documents, music, and netsurfing this will easily handle the tasks. "...video decoding and in particular gaming are too much for the 4500MHD." Alternately, I might just wait for something like this. Actually, having seen Adobe in action, I'd probably wait. Haven't seen too many things they can't break to some degree, even sometimes after they have fixed them.